Let's check the charts again and see if there is more on the upside. Buyers should stand aside and let ADP find new support and fresh accumulation. The stock goes through phases running from extreme popularity to being somewhat out of favor. Pershing Square's Bill Ackman sits down with The Deals Ron Orol for a wide-ranging interview. They talk ADP, Chipotle, Macy's, JC Penney and more. Ackman: ADP CEO's Job Loss Prediction is a "Scare Tactic"
Pershing Square's Bill Ackman sat down to talk ADP with The Deal's Ron Orol. Let's plot a logical course for ADP. Billionaire investor Bill Ackman thinks ADP has much more potential, even though its stock has outperformed the S&P 500 in recent years. 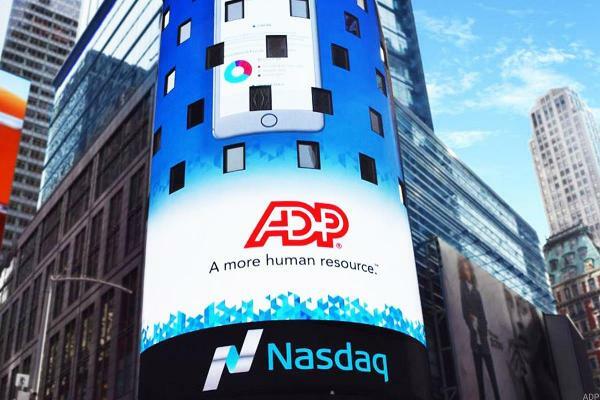 What's next for ADP shares? TheStreet's Action Alerts PLUS Portfolio Manager Jim Cramer weighs in on Tuesday's trending stocks. Activist Bill Ackman should have just met with Automatic Data Processing's CEO. Wall Street fell into the red Thursday. Judging by how little people seem to care, more volatility is a good bet.